I have been obsessed with raspberry and lavender ever since I visited Greysmarsh Farm, a raspberry/lavender farm in Sequim, WA this summer. Out of all the farms I toured for my Real Food project, this is the one place where I didn’t do any interviewing or even carry along my trusty reporter’s notebook. All I wanted to do was just sit down and inhale deeply. Wouldn’t you want to do the same in this field of lavender? 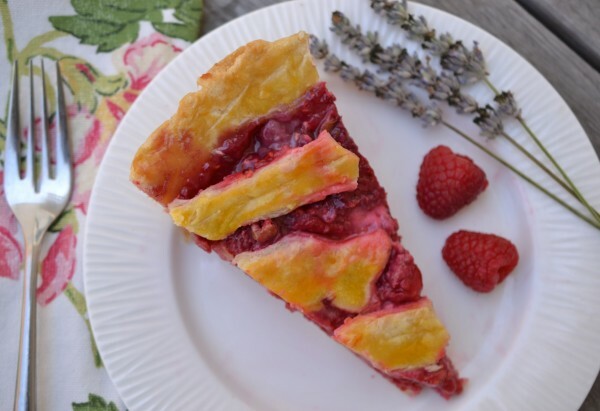 I’ll eat raspberries just about any time of the day, but one of my struggles has been trying to figure out how to incorporate lavender into cooking. You want to capture that flavor but you don’t want to be spitting out little buds or leaves all evening. So here’s a great trick I learned for baking desserts with lavender: You take a bunch of dried lavender buds, mix them with granulated sugar, and store the whole thing in an airtight container for 2 to 3 days. Shake occasionally. Then when you’re ready to use it, open it up, sift out the lavender buds, and you have an amazing lavender-scented sugar. That’s pretty much the secret to this tasty pie. Also, fresh raspberries are key. 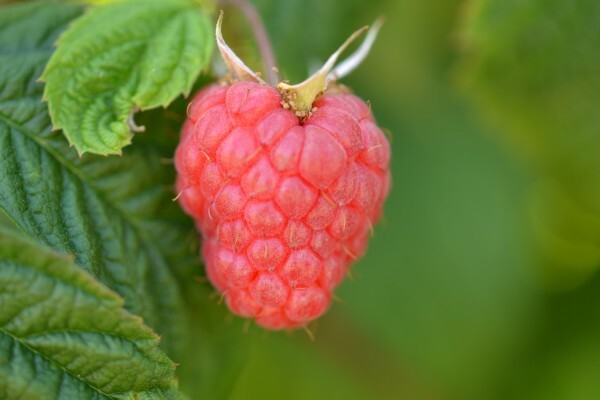 If you don’t happen to live next door to a raspberry farm (Note to self: Buy home next door to raspberry farm), just go to your freshest produce vendor and use the raspberries as soon as possible (preferably on the same day). Combine the flour, sugar, and salt in a large bowl (or food processor). Using a pastry blender, blend the butter into the flour mixture until the butter is broken down into pea-sized lumps (or process the mixture to get the same result). Add the water and gently stir – the mixture will become sticky – until you cannot stir anymore. Pat and fold the dough very gently until all of the flour is mixed in (do not work the dough too much or the crust will be tough). Add more water if needed, but not too much – the dough should just barely hold together. Separate the dough into two mounds. Cover the dough with plastic wrap and chill it in the refrigerator for at least 30 minutes. After 30 minutes, remove one pack of dough from the refrigerator, take off the plastic wrap and let it sit for 5 minutes. Place the dough on a lightly floured board and roll out until the dough is a large circle, about 12 inches in diameter and about 1/4 to 1/2 inch thick. Carefully lay the dough circle over a 9-inch pie pan. Press to fit, trim the edges. Brush the dough with the egg white, then put the entire pie pan in the refrigerator. Meanwhile, prepare the filling. In a large bowl, combine the lavender sugar and flour. Add the raspberries and gently stir until the flour-sugar mixture is coating the raspberries (do not over-stir). Pour the raspberry filling into the chilled pie crust. Final assembly: Remove the second pie crust mound from the refrigerator, unwrap it, and let it sit for five minutes before rolling it out and placing it over the pie in your favorite style (lattice, cut-out leaves, etc.). Brush the top and any pieces you need to seal with egg yolk. Preheat the oven to 375 degrees. While the oven heats, put the assembled pie in the refrigerator for 30 minutes. When the pie is chilled and the oven is fully heated, put the pie on the bottom shelf of the oven and bake for 15 minutes. Remove the pie from the oven, cover the edges of the crust with foil, return the pie to the oven, and bake for an additional 35 to 40 minutes. 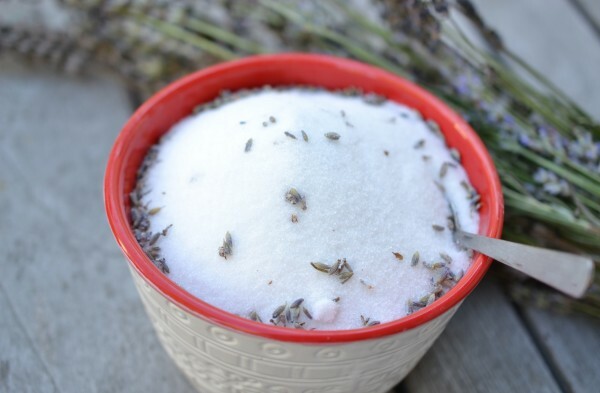 *Note: To make lavender sugar, add 2 T. dried lavender buds (you can find them in the spice aisle of well-stocked or gourmet grocery stores) to 2 cups sugar. Mix well, store in an airtight container for 2 days. When you are ready to use the sugar, sift out the lavender buds. 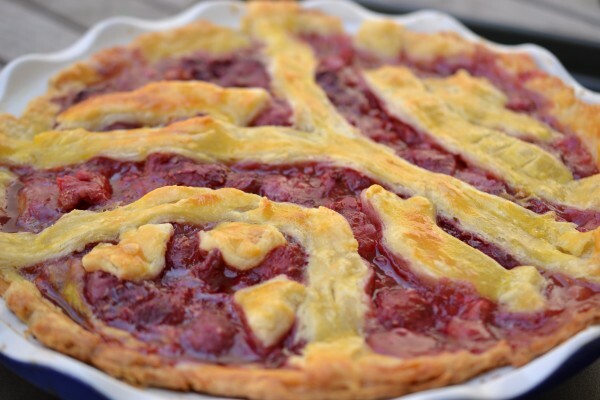 For this particular pie, I created a road/track/car/train motif for the KCRW pie contest (the theme was “Metropolis” in honor of a popular exhibit at the Los Angeles County Museum of Art) and called it Raspberry/Lavender “Traffic” Jam Pie. (Get it? Traffic jam?) Here’s a sign that it was a hit: At the end of pie day, there was not a single morsel left in the pie pan. I guess I’m not the only one who just can’t get enough raspberry and lavender. 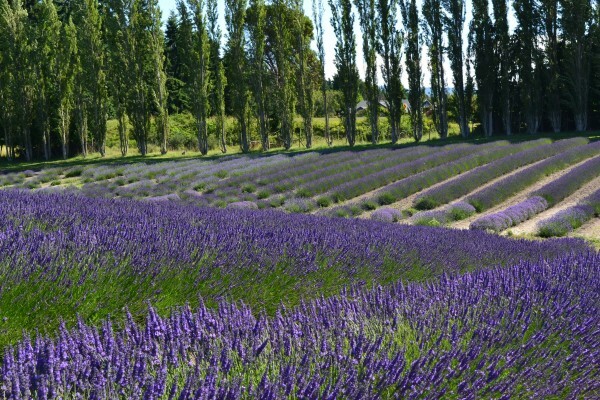 Maybe it’s time to buy that house next to a lavender farm after all. Lavender is a really cool spice to work with, does wonders for recipes and always surprises people when they start to eat! Agreed – Thanks, Gerry! Nice seeing you at the pie contest too! This sounds wonderful. Raspberries and lavender sound fantastic. I could totally dive into that pie! And I’m totally going to hunt me down some lavender to make that infused sugar!